UPDATED: 6:38 p.m. on 3/28/2019 — Delaware State Police say they have arrested 60-year-old John W. Barnhard of Dagsboro in connection to the shooting. He was located a short time after the incident in close proximity to the scene. He was taken into custody without incident and charged with first degree assault, 5 counts of possession of a firearm during the commission of a felony, possession of a firearm or ammunition by a person prohibited and 4 counts of first degree reckless endangerment. Barnhard was committed to SCI on 317,000 dollars secured bond. An investigation uncovered that prior to the shooting, the victim was a passenger in a vehicle along with the driver and three other males. 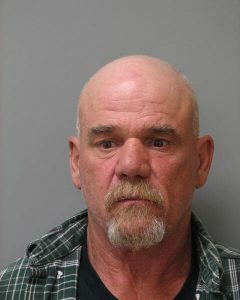 Barnhard, operating a Ford F-150 pic-up truck flagged the victim’s car down. The four occupants of the victim’s car got out, words were exchanged and eventually the suspect pulled out a handgun and fired a shot, striking the victim in the upper torso. He then fled the scene. The victim has been identified although we are concealing his identity because he is a minor. Delaware State Police is investigating a shooting incident that happened Wednesday, March 27 in Dagsboro. Troopers say the incident happened just before 9:30 p.m. in the area of Irons Lane and Old Mill Road. Troopers located a male subject who had sustained a gun shot wound to his upper torso. The victim, a 16-year-old male was transported to Beebe Hospital in serious condition, and later transported to A.I. DuPont Hospital. Troopers continue to investigate and no suspect description has been provided at this time. Anyone with information on this incident is asked to contact Detective Grassi at Delaware State Police at (302) 365-8441 or Delaware Crime Stoppers at 1-800-TIP-3333.